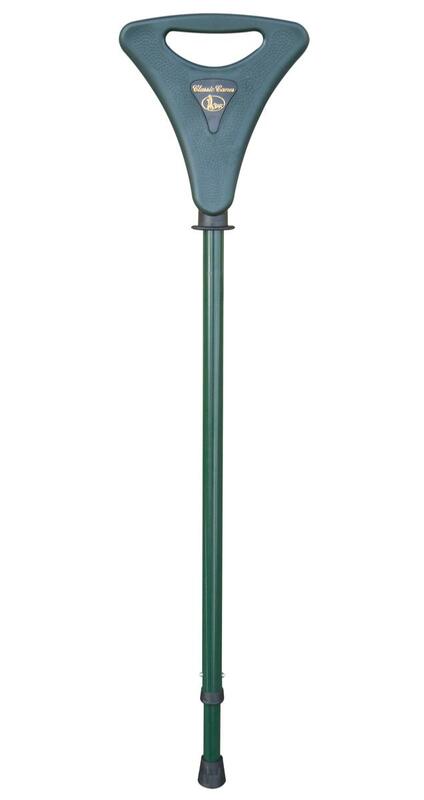 A contemporary, height-adjustable seat stick, suitable for use on hard surfaces. Fitted with a rubber ferrule. The walking height adjusts between 87-95cm (approximately 34"-37.5") and the sitting height between 78-85cm (approximately 30.5"-33.5"). The aluminium shaft is green, to match the green plastic seat. The seat stick weighs 0.5kg and is able to support a maximum user weight of 125kg (19 1/2 stone).